Philadelphia 76ers guard Landry Shamet in action against the Orlando Magic at Wells Fargo Center. Sixers fans are still picking up the exploded pieces of their minds over the last 48 hours, a frantic NBA trade deadline that saw GM Elton Brand wheel and deal to complete four team-altering transactions. The prize of all that activity is forward Tobias Harris, a rising star who now slots into one of the best starting fives in the NBA. But Wednesday's blockbuster trade with the Los Angeles Clippers did come with a bit of a sting, if fans are being honest. 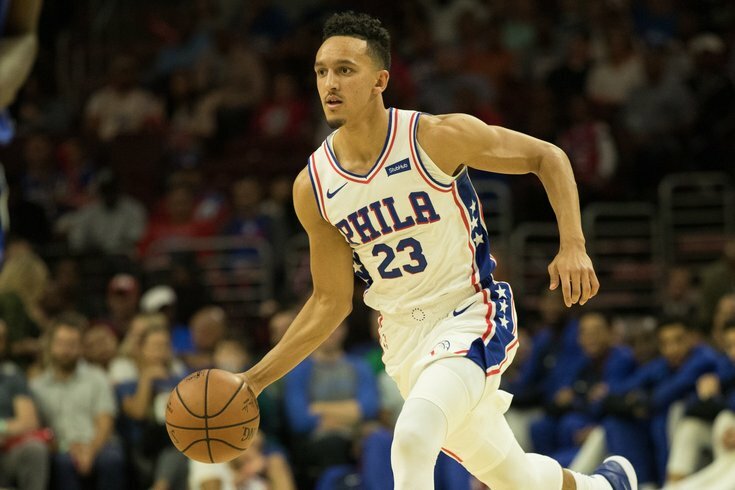 Rookie Landry Shamet, a late first round selection in last year's draft, may well have been the clincher for the Clippers to feel assured of the trade's upside for them both now and into the future. On his way out of Philly, Shamet had a message for the fans who supported him. Anyone who's watched the Sixers this year saw Shamet emerge as a nightly contributor off the bench. He often gave the team a third-quarter cushion from beyond the arc and wasn't hesitant to fire away in critical situations. Given the absence of top pick Zhaire Smith thus far this year, Shamet's youthful bravado and athleticism were a welcome surprise. It couldn't have been an easy call for Elton Brand to part with a player the organization was clearly proud to have picked, but the arrival of Harris' shooting ability, along with the addition of new bench pieces, should more than make up for Shamet's departure. Just as the Raptors' Kyle Lowry rained points on the Sixers in Tuesday night's loss, we may want to watch out for Shamet in future match-ups with the Clippers.